Today's trends like seat comfort, lightweight, clean sky, CO2 reduction, energy saving opportunities. 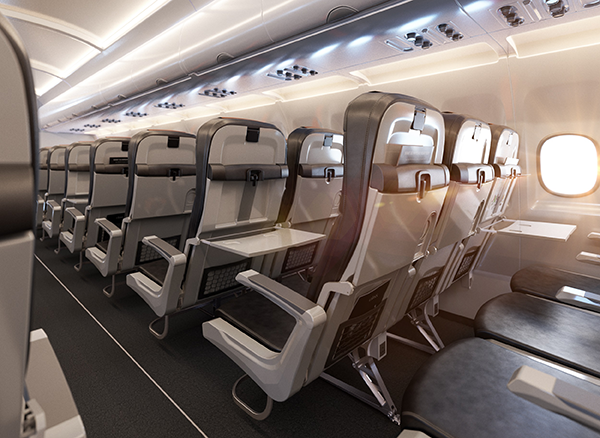 Caring for the Climate and Communities changing the Aircraft's Interiors World. Our seats have proper balance between weight, passenger comfort, and available features for the world’s leading airlines. Our R&D team pay high attention for passengers comfort and works closely with airlines to introduce latest innovation in passengers experience. Many configuration possibilities and wide range of options helps customers to customize seats. 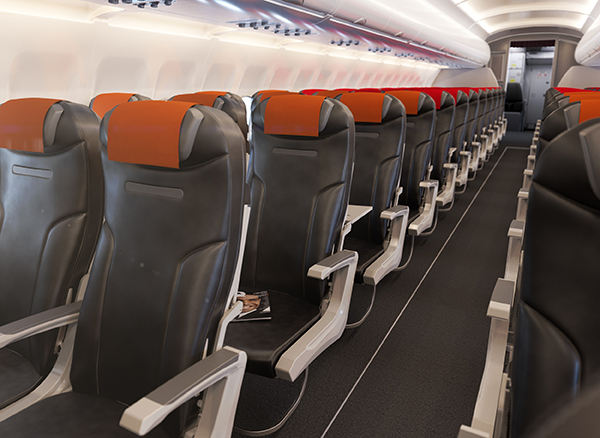 Gain Extra Row or Extra Legroom in 737, A320Neo or A321Neo Family Aircraft. Seats have patended hydraulic system for reclining system and can be stopped at any position up to 15 degrees.